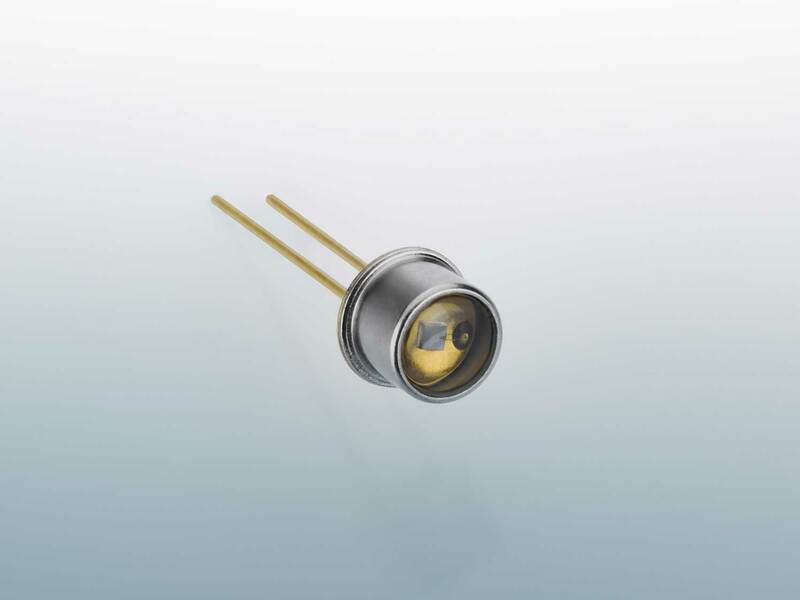 The photodiodes from Jenoptik can be easily integrated into your existing systems or adapted to optoelectronic applications, and can also eliminate the need for external filters. 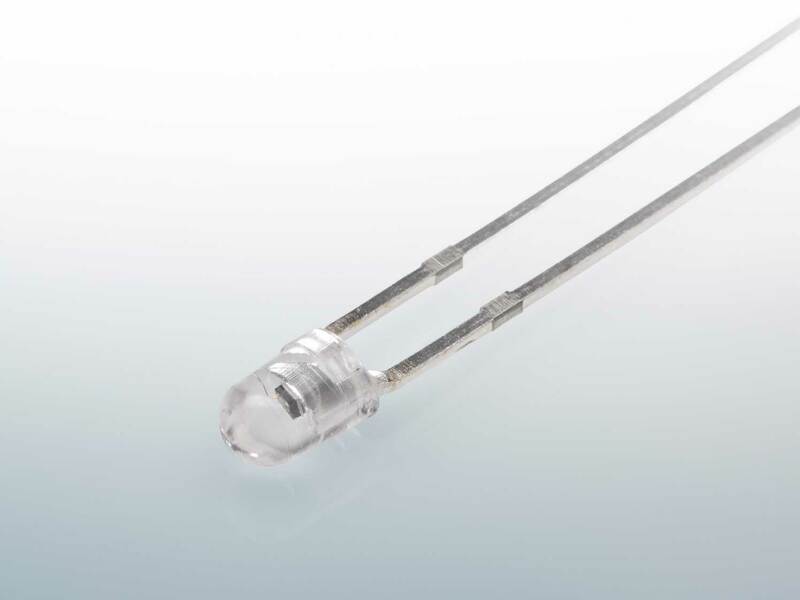 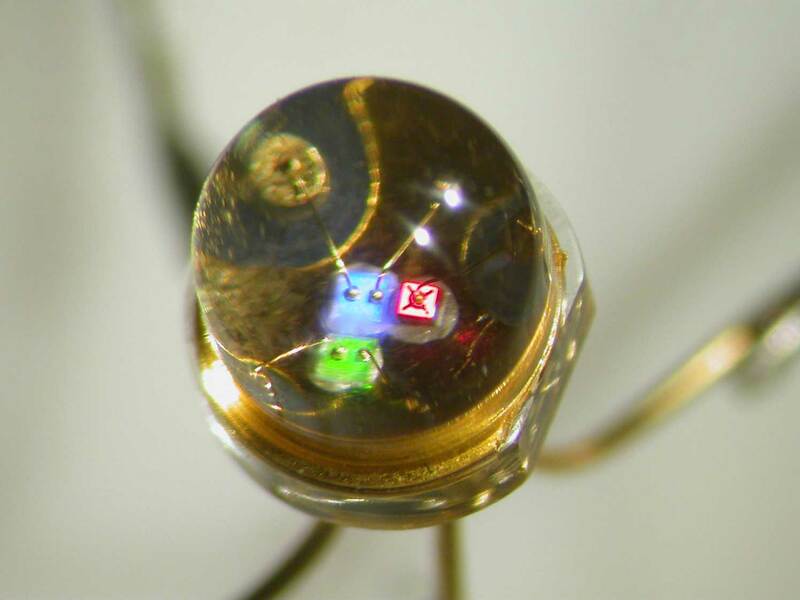 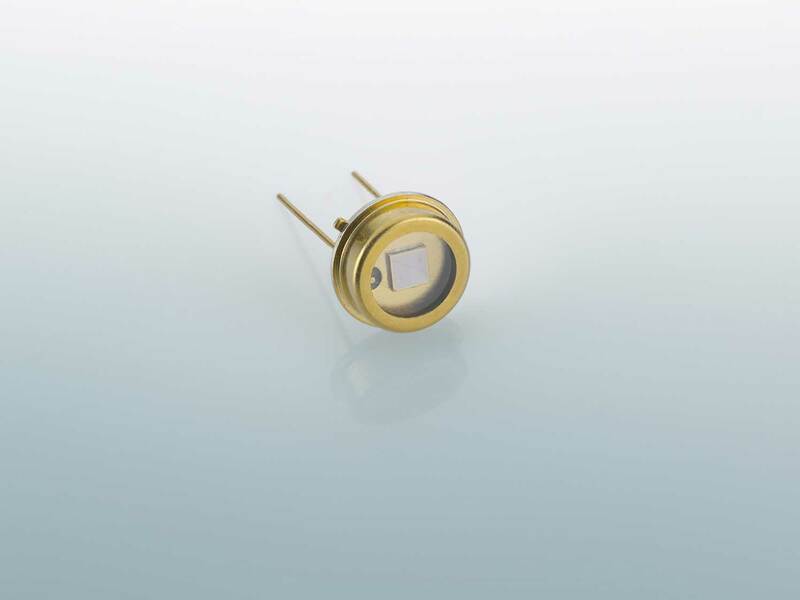 For its photodiodes, Jenoptik uses A3B5 materials such as AlGaAs, GaP, InGaAs, AlGaN or SiC. 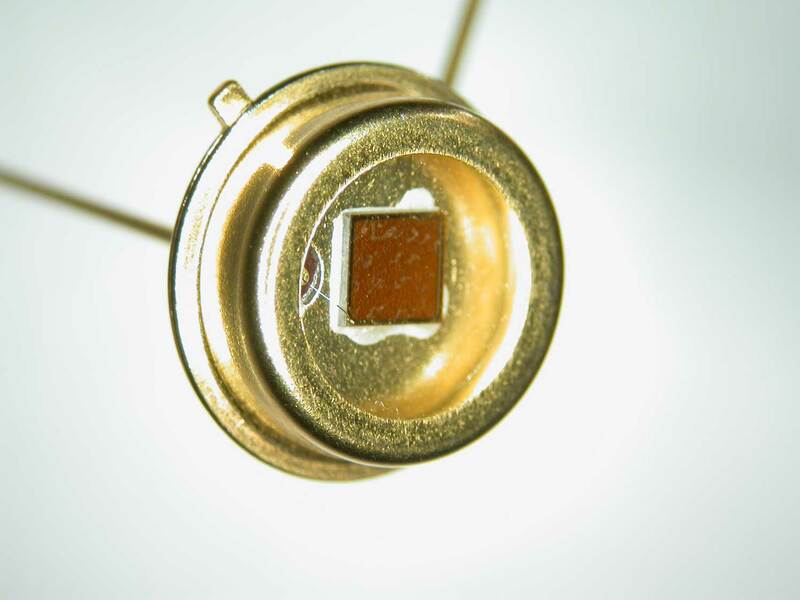 We manufacture spectrally selective photodiodes for detecting visible light, IR radiation or UV radiation. 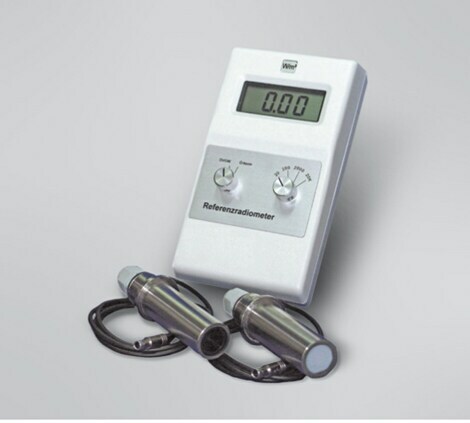 They reliably detect spectral ranges between 150 and 1700 nm. 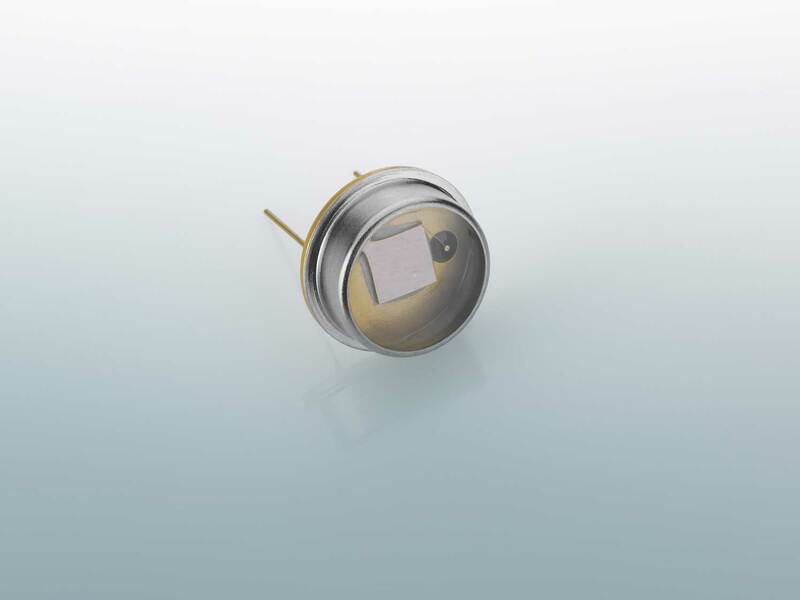 Our photodiodes are available in hermetically sealed metal housings with optical flat or lens caps. 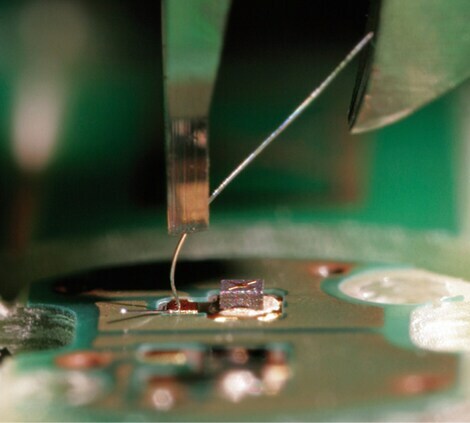 Alternatively, we can supply SMD housings or customer-specific modules with chip-on-board technology. 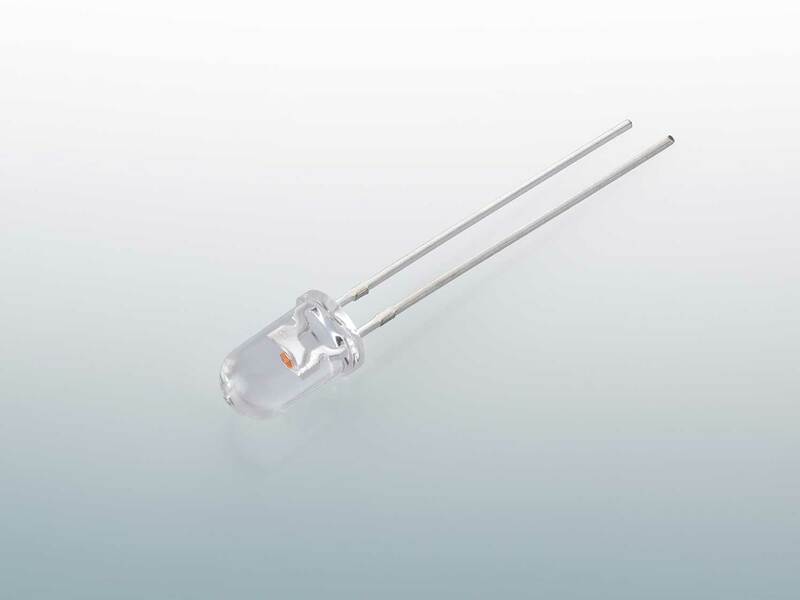 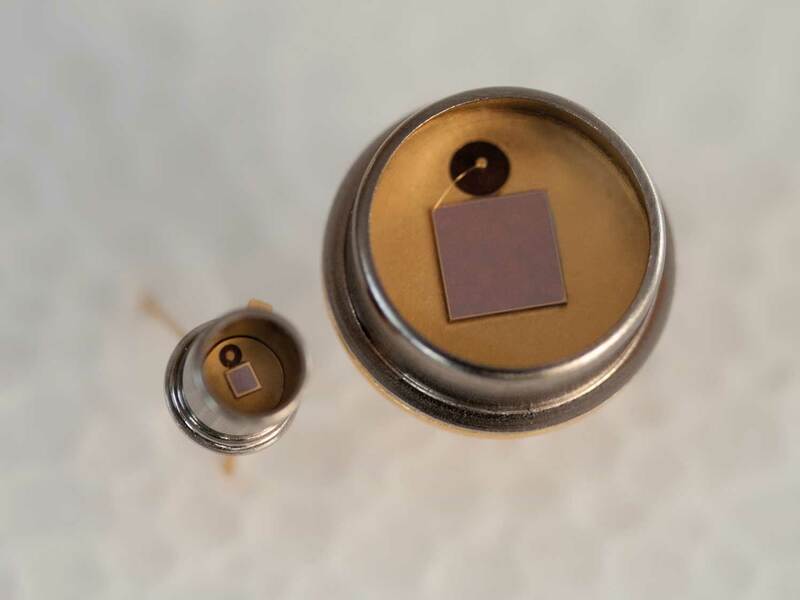 The semiconductor materials that we use result in very low dark currents, which in turn produce a particularly high signal-to-noise ratio when compared with the widely used Si-based photodiodes. 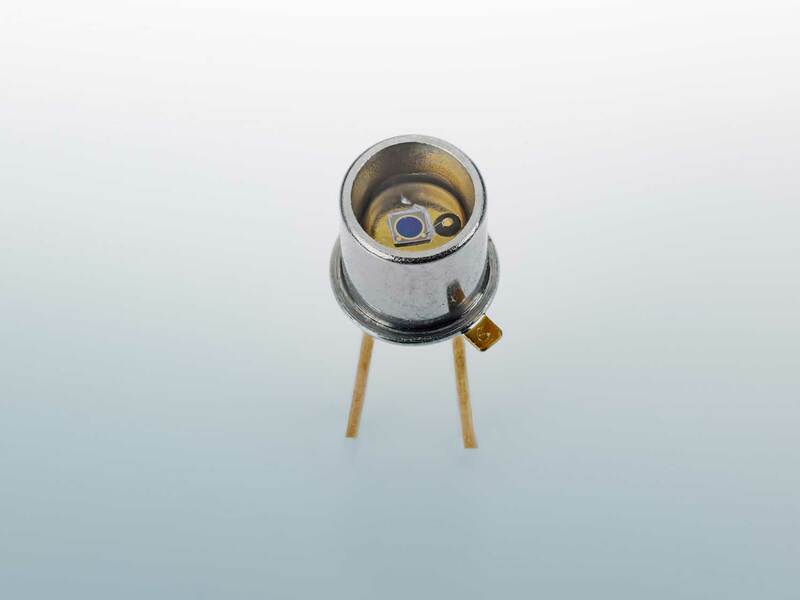 The resulting photocurrent is directly proportional to the irradiation intensity across multiple decades. 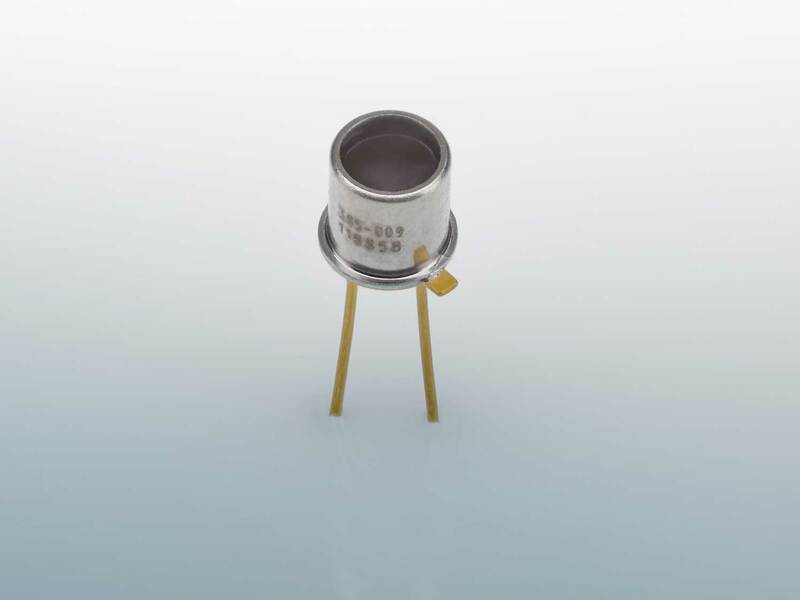 Low junction capacitance ensures short switching times and rapid signal transmission. 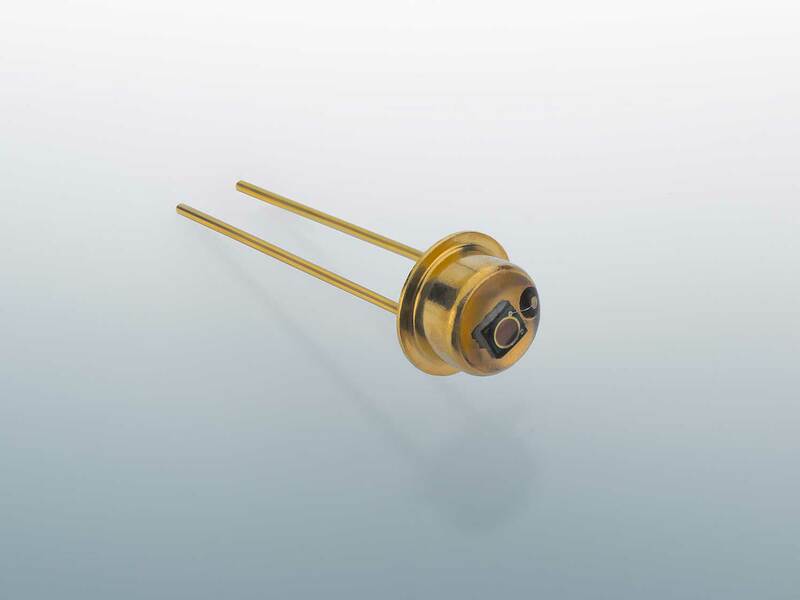 In some cases, no additional optical filters are required when using our spectrally selective photodiodes.